Zionist yeshivas absorbed a 40% budget cut and warned they will soon be unable to pay salaries. 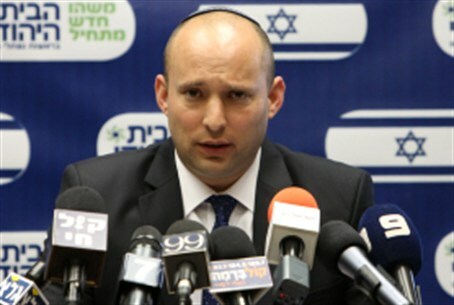 There is great anger in the Zionist post high school yeshivas and hesder (Torah study and IDF service) yeshivas because of the planned slashing of their funding, and the anger is directed largely at Bayit Yehudi head Naftali Bennett, who is the Religions Minister, and his deputy, MK Rabbi Eli Ben Dahan. "We will not be able to pay salaries," a senior official in the federation of yeshivas told Arutz Sheva. "This cut will topple yeshivas in short order. Unless Bennett and Ben Dahan act to cancel the large budget cut, we will see this happen within a short time. "Naftali Bennett has been making endless economic declarations," he said, "but he has forgotten that he has to give an economic accounting to those who elected him and helped him reach the place he has reached. Our public demands and expects answers." The yeshivas have been dealing with a 20% slash in budgets since the beginning of 2013, and another 20% were slashed in May. Sources near Bennett said that the Bayit Yehudi faction was acting behind the scenes to cancel or at least lessen the budget cut. The Bayit Yehudi party's main voter base is the religious Zionist sector. Bennett's pact with the anti-hareidi Yair Lapid left the hareidi parties out of the government and made it possible for him to slash their yeshivas' budgets as Lapid wanted. However, it now appears that the Zionist yeshivas are also suffering from the same cut.